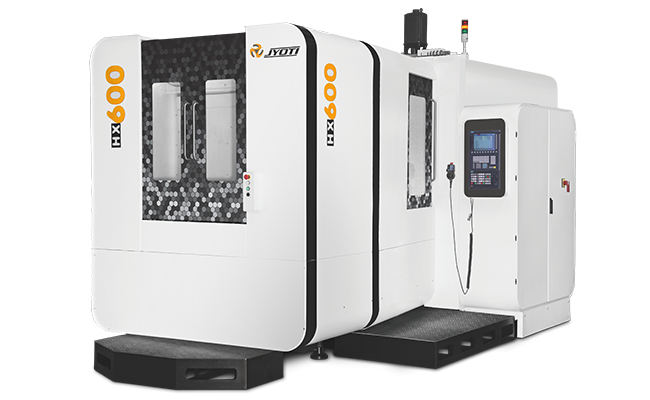 HX Series - Jyoti CNC Automation Ltd. Heavy duty rigid and dynamically balanced structure. Wide T-bed and step-up construction with triangular column. Powerful high torque belt driven BT-50 spindle. High torque geared head available. Bi-directional 40 tool chain type ATC. Large accessibility for loading/unloading from top. Ergonomics design and aesthetic look. Efficient chip flow from centre of the machine.